Today was meant to be the party we have been planning and waiting for... J's first year Jungle Safari Bash. 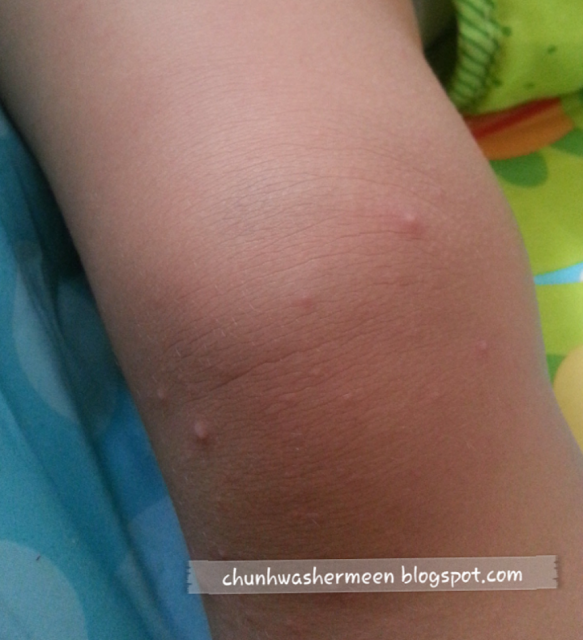 Unfortunately, J caught HFMD from a new kid in school and is having full blown blisters. He is ultra fussy, does want to eat or drink except for water. He wakes from his sleep every hour screaming from the pain in his mouth. I don't deny that i was quite angry with that carrier kid for spoiling what might have been a happy day for J, and for putting us through the last minute changes. Yes... all the food and other stuff for the party cannot be cancelled, if you were wondering. But I also know that poor baby must be in great pain... so i take my words back. I just hope all the babies in school (which is my knowledge stands at 3 now) get well soon. 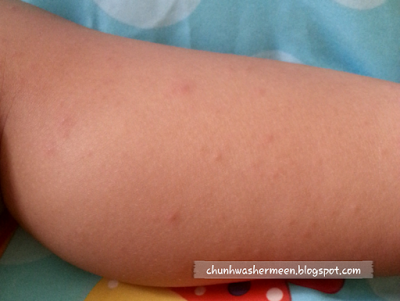 From what we see from J, HFMD usually peaks at around day 4. Day one being the day he got infected. As the incubation period is usually 3 to 7 days, J probablly got it on Monday but symptoms only started to show on Day 4. We kept Jonas at home on Thursday after we knew a baby was infected. We just wanted J to celebrate his birthday, and let us move house in peace. However, it was too late. He had fever on Thursday afternoon and by the time we brought him to see the doctor in the evening, he already had a mouth full of ulcers. They probably have got little or no appetite. So, don't force if they are not keen on food. It is probably because it hurts to swallow any food with all those sores in their mouths. But, do encourage them to drink more fluids... water or diluted fruit juice. Best if its a little chilled. To help J along, I spoon feed him the water. That makes it easier for him to swallow and he seems to enjoy having water more than anything else. The fluids will help replenish what's been lost from the excessive drooling. J drooled so much that his bids are pretty much soaked up each hour. I guess the pain in the mouth is causing him extreme discomfort. Once again, the pain is causing these poor babies to lose sleep. So, when possible let them rest, but don't force it. J gets very upset when I bring him into the room, indicating it's nap time. So, I have left it to him to play when he wants, sleep when he wants, which on normal days is not the case. Looking at the picture below, it seems like his FP chair now gives him the comfort so much so he is able to fall asleep in it. If the rashes or blisters itch, calm it with calamine lotion. Refrigerated ones are the best in my opinion. Teething gel works like adults' Bongela on oral ulcers. So, use a small amount on those raw sores. Most importantly... lots of patience and cuddles. They need it most at this time. 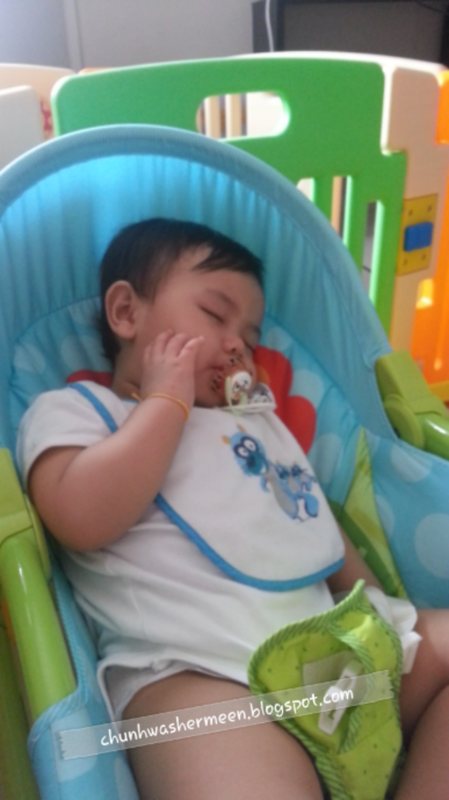 He don't usually fall asleep on his FP chair. Today, it was his comfort.